Sonisphere is bringing the fury to Germany this summer with a lineup that promises great things for festival attendees. Hamburg’s leg of the nomadic festival will take place June 6 at Imtech Arena and include heavy acts like Metallica, Slayer, Mastodon and Ghost. 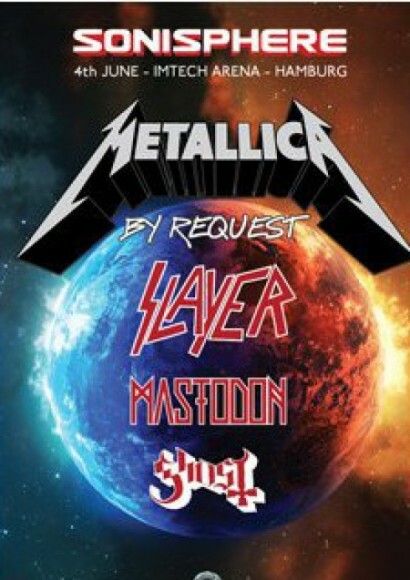 Ticket-holding Metallica enthusiasts will be constructing the band’s setlists this summer, so be sure to get your tickets if you want a say. Considering that Maiden is on board for the Knebworth Park show, Sonisphere is doing a lot of things right with their lineups this year.